Ha'oom Nuu-chah-nulth Wild Seafood in the news locally, nationally, and globally. 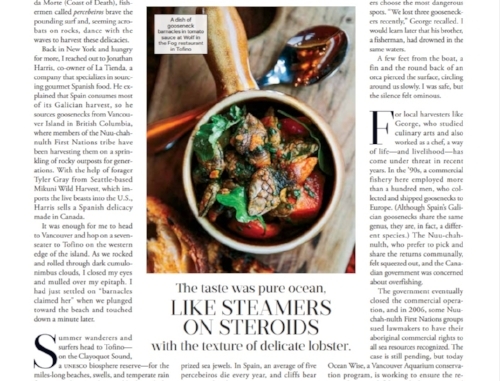 Our local, sustainably caught and Ocean Wise recommended seafood products continue to attract interest from people close to home and on the global food scene. What is a Gooseneck Barnacle? Departures Magazine's Travel section, February 2017.